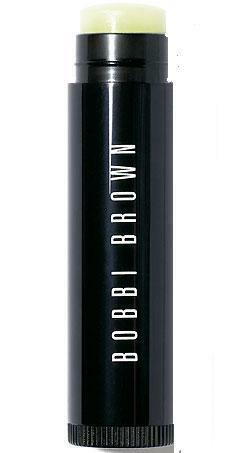 Bobbi Brown Lip Balm - YOGI BARE Description: Lip Balm - YOGI BARE IS UNTINTED This unique formula offers deep moisturization and sheer color that lasts longer than most. With a portable newly designed metal case, UNTinted Lip Balm offers finger-free and mess-free application. FULL SIZE BRAND NEW , NEVER USED, NEVER TESTED , NO Box ALL BUYERS - HOW TO PAY: PayPal Preferred I accept personal checks ONLY from buyers with 10 feedback Shipping Note: The price charged for "Shipping" also gives consideration and includes costs for handling expenses (such as packing materials, and paypal charges/fees, and insurance where applicable). In most cases, the price I have charged for shipping does not even cover all these expenses noted above. Penalizes sellers for anything Less than 5 star feedback, and I do my best to charge what is fair for all. Please be considerate. shipping Only may include Insurance and/or Delivery Confirmation All SHIPMENTS TO CONFIRMED ADDRESSES ONLY International Buyer to pay international shipping based upon applicable USPS international priority service charges. Please contact me for applicable shipping fee. ALL SALES ARE FINAL: no refunds or returns ... but please email me if there is any problem with your purchase. Items come from a clean, smoke-free, pet-free home. I am Paypal Verified. Thanks for Looking! Please Check out my other items! Be sure to add me to your favorites list! Posted with Mobile International Buyer to pay international shipping based upon applicable USPS international priority service charges. Please contact me for applicable shipping fee.